The middle picture is one of my all time favorites. That was the first time I took Brady to the park and clearly he didn't appreciate it much. I can't believe how big he has gotten. Makes me never want to finish his baby book. I just love your scrap pages!! 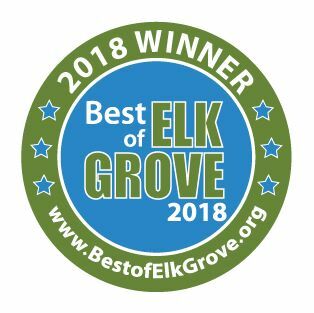 You do such a great job! Brady was an adorable baby! Growing up so fast too! I love this particular layout! I love the color scheme you chose and the glitter letters are so fun! This layout is adorable! you're right, I like the middle pix the best as well! look at that cute grouchy face!!! 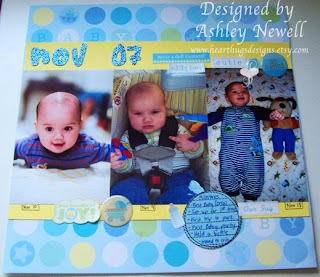 What an adorable little boy layout...super job! He is such a cutie pie!!! What a great LO! Thank you soo much for playing along with us at cafe mojo! cant wait to see more from you!! !